Former NBA star Kareen Abdul-Jabbar has condemned the prosperity gospel and those who preach it, including Creflo Dollar. 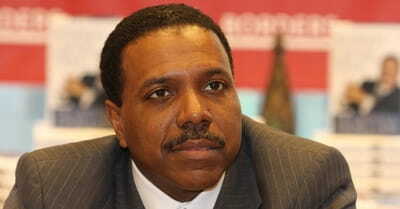 Creflo Dollar, the televangelist who was recently criticized for asking supporters to fund the purchase of a $65 million private jet, has said that there is no such thing as the prosperity gospel. Georgia megachurch pastor Creflo Dollar avoided a court appearance on charges that he assaulted his 15-year-old daughter last June. A gunman reportedly killed another male Wednesday morning inside Creflo Dollar's World Changers Church International in Georgia, and the shooter is still on the loose.